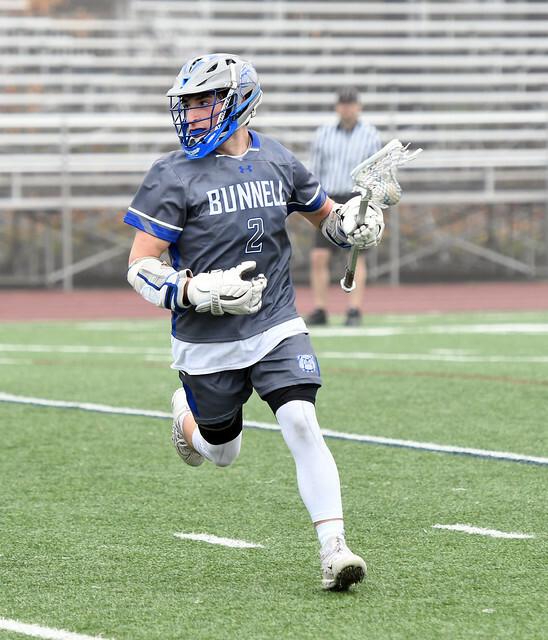 It was a Saturday split for the Bunnell High lacrosse programs as both Bulldog teams hit the road for games. The girls team posted a win at Lyman Hall while the boys team fell in harsh fashion across the border at Foran High in Milford. Morgan Reilly scored seven goals and assisted on two others to lead the Bulldogs to the win in Wallingford on Saturday afternoon. Bunnell led 6-5 after the first half before exploding for 12 second-half goals to pull away. Mariana Trovarelli added five goals and an assist for a Bunnell while Maura Kelly scored twice with a set up and Christina DiBenedetto had two goals, as well. Cat Nelson and Ashley Rivera added single tallies while Brianna Vitka recorded an assist. Tatiana Wright made 14 saves for the Bulldogs, who improved to 2-3 on the season. Bunnell hosts Masuk on Tuesday at 7 p.m.
A good start and momentum from its first win of the season wasn’t enough for Bunnell to compete with host Foran on Saturday morning. After scoring the first goal of the game, the Bulldogs gave up five straight goals as the game got away from over the final three quarters. Anthony Trovarelli had three goals and an assist for Bunnell while Charles Stewart had a goal and an assist. Will Heiden and Jacob Kudysch added single goals while Paul Alesevich had an assist. Quinton Budnick stopped seven shots for Bunnell (1-4), which travels to Masuk on Tuesday for a 6:45 p.m. game. The SWC match-up between the Red Devils and Trojans, which was moved to Stratford, was still postponed due to wet field conditions. The make-up date is still TBA. Stratford’s next game is Wednesday when the Red Devils return to DeLuca Field for a 4:15 p.m. game. A photo album from Saturday’s Bunnell vs. Foran boys lacrosse game.